This was originally posted by me here on my WorldProfitSocial page. This post, however, contains more information and will be continually updated with the latest info. Have you ever wondered why you feel tired mid-day? Not enough restful sleep? Why your weight fluctuates or your struggling to lose weight? Why you suffer from so many colds and other ailments? Why you suffer in pain? This is because no matter how clean we eat (natural/organic foods) and how well or often we workout, we have nutritional flaws. These flaws cause side effects such as weight gain, poor memory, lack of sound sleep, and low energy. Our bodies just aren’t getting the complete nutrition it needs to fully function. Whether it be we’re eating too little of enough different foods for all the nutrients, or an illness we have (such as diabetes) is keeping us from absorbing enough of the nutrients, this is an issue that is solvable. No longer do you need to suffer in pain. No longer do you need to feel tired or sick. These health products are specially formulated to guarantee maximum absorption. The products are all made in the United States with ingredients grown in the United States. The core-line, a simple 3-step package, will have you feeling amazing. Take the vitamin as soon as you wake up before your feet hit the floor. Wait 30 minutes and drink a single serving of the Lifestyle Mix (comes in four flavors to choose from). Put the DFT on a clean, dry skin. That’s it. You’re done. Just keep tge DFT on all day. Change it every morning. That’s the core line. The quickest way to get the best possible results. The vitamins and mixes jumpstart your day, the DFT is a time-release formula to keep your body full of nutrition all day. When you take your supplements, do you FEEL anything? What quality are your current supplements? You should be able to FEEL a difference when you take supplements. If you don’t feel that with your current supplements, your supplements aren’t doing their job. Your body isn’t absorbing the nutrients. Which brings me to my next two points. What quality are your supplements and how much is your health worth to you? I’ve been a health enthusiast for some time now, and this is actually my second health & wellness company I have been with. I have literally product tested most of the products on the market. Unfortunately, whether it says natural or not, the lower-cost supplements are almost always garbage and a waste of your money. The higher-priced to top-quality you will feel a little change. But none compare to the products I’m offering you right now. No other company has a formula as specialized as ours that can guarantee you maximum absorption and complete health benefits in as little as 8 weeks or less. I want you to understand that I’m not intentionally implying that my products are only for the wealthy or that you need to spend thousands of dollars on nutrition. You can do that if you want to, but these products are better for you and are affordable. They’re extremely affordable for premium products. You shouldn’t have to be wealthy to have optimal health. If you’re already taking supplements, I ask you to think about those three questions listed above and then take the 8-Week Experience with my products. If you’re not taking any supplements, go back and read the image at the top of this post. If you answer “Yes” to any of those, I highly recommend you take the 8-Week Experience and see what these products can do for you. I promise you won’t regret taking the challenge. To do so, just click here and watch the 3 minute introductory video and then click “customer” at the top right of the page. It is 100% FREE to setup your customer account. We also offer what we call the Plus line. These products are recommended to use in addition to the core line for maximum results, but they can be used solo depending on the results you seek. Each of the Plus line products are specially formulated to target a specific issue, such as joint pain relief or boost cognitive function. New Thrive 2.0 has arrived with all new technology in the DFT’s for better absorption, and new Sequential Bar Technology Protein Bars. Click here for info. As a customer, you will also have the ability to earn FREE product. If you refer just two customers who place an order on auto-ship, the following month your product is FREE! Imagine getting just two new customers every month. After your first month’s order, all your product would be free! How cool is that? What other health company treats their customers so awesome and actually cares about their customers the way we do? If you’d like to view a description of the individual products, click here or here. To view the benefits of each ingredient click here. Our products may also be used in recipes! Create your FREE customer account and place an order to recieve recipes and recipe ideas via email. I can personally vouch for the benefits these products provide. I’m getting better sleep at night, more energy during the day, and it helps alleviate my pain caused by rheumatoid arthritis and sciatica. I also suffer from fewer migraines since starting Thrive. If you have any questions regarding the products, including if I would recommend you take the core line or if a solo Plus line product would work for you (or combo of both); or if you have any issues setting up your membership account or placing your order, email me at ReverendDrRed@gmail.com. I’m here to help you achieve a healthier you. Ready to get started? Click here or download the free app. These products are currently available in United States, Canada, Mexico, United Kingdom, Australia, and New Zealand. Still here? Then let me also tell you how you can earn an income and bonuses, and win cool prizes by joining our company as a Brand Promoter. Just like your customer status, to become a Promoter is 100% FREE! There are NO startup fees, monthly fees, or hidden fees. You’re back office is completely in the cloud. You’ll have a login to get into your office. And you can download a cool app on your iPhone, iPad, or Android device. The app is full of videos, product information, and other resources you can utilize to educate yourself about the complete product line as well as use for presenting the products to people in-person. You could also order your products from within the app. I actually run my entire business off of my Android phablet. The app is also free. As a Promoter, you recieve commissions for every customer you signup, as well as every Promoter you signup. And you don’t have to do it alone. As a Promoter on my team, you will have the complete support of, and training by, my entire team. We will help you reach a healthier and wealthier you. From me to you, I don’t succeed unless you succeed. Whatever your income goals may be, I will help you get there. But, I need to warn you, because of the nature of this business it is preferred you enjoy helping people. If you only care about the money, and not about your team or customers, this might not work for you. It works best for people who enjoy helping others. And, after all, that’s what we’re doing – helping others get healthy and take their lives back. Each month you will have the opportunity to earn bonuses, FREE product, and win cool prizes (such as iPad mini or a monthly auto-bonus). Pretty cool, right? How much you earn and how quickly you earn is entirely dependent upon how much effort and time you put into it. Pay is every Tuesday. Contests and bonuses are paid monthly. Right now we are running a Fast Track bonus – you have the ability to earn between $660-1330 within your first 14 days if you can get just 2 customers on auto-ship or 2 customers AND 2 Promoters on auto-ship. If you’re thinking you want to signup as a customer first, see how you feel on the products and then upgrade to promoter, no problem. When you login to your customer account, there will be a pop-up asking you if you want to upgrade to Promoter. When you’re ready, just click the button. To get started as a Promoter, you would just click here and after watching the 3 minute video, click “Promoter” at the top right of the page. Once you’re setup as a promoter, you’ll have your very own FREE website you can go to and place your orders, keep track of your team and commissions, and so much more; as well as send people to your link to signup. To login, you would visit your website and click “Cloud Office” at the top right of the page. Promoter’s can’t login through the customer portal. You could also get signed up through the app. Now is the optimal time to join! When purchasing the Promoter or VIP packs, you also get special promo codes to use and hand out! Click here for info. If you have any questions, or would like to go over the compensation plan and rewards plan, send me an email. Now click here and get started! People are waiting for you to help them get healthier! This post is for informational purposes only. I am not attempting to make any medical claims, nor should this information be seen as such. These products are not intended to diagnose or cure any illness. It is recommended you speak with your medical professional before taking yourself off any medications, despite how you may feel taking these products. How healthy are you? Not just spiritually, but physically and mentally as well? Each and every day countless millions of people are struggling to a good nights sleep, stay awake and focused through the day, and are suffering with pain from any number of causes. Is this really how we were meant to live? Suffering in pain? Struggling through the day? Force feeding ourselves multi-vitamins that our bodies can’t absorb anyway? Aren’t you tired of slugging it through life? Aren’t you tired of feeling tired? Do you want your life back? I’m an Independent Brand Promoter of Le-Vel and I’m going to tell you how I can help you achieve a healthier you and get your life back. But don’t take my word for it. After reading this, take the 8 Week Thrive Experience – take Thrive for just 8 weeks. And see how you feel at the end of those 8 weeks. 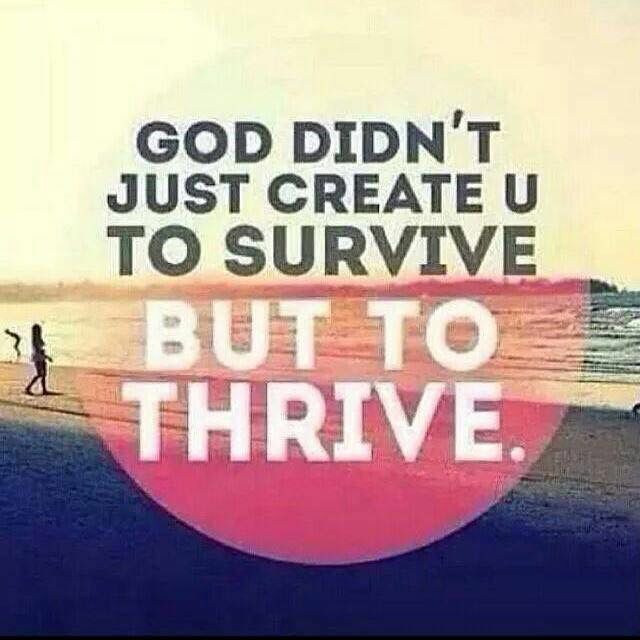 Thrive is a premium, patent-pending line of health products formulated for maximum absorption. The first few days you may feel laggy, this is normal as the body is detoxing. As you keep on Thriving, you will begin to feel all the benefits of the Thrive products. These may help give you relief to several different causes. However, these supplements are in no way intended as a cure, to replace your medication, or override treatments ordered by your doctor. The supplements, however, because they are all natural, won’t interfere with any medications you are taking; though you may want to inform your doctor you’re taking Thrive. To begin Thriving you will need to setup a 100% FREE customer account at RedConrad.Le-Vel.com. Thrive is helping countless millions lead healthier lifestyles. Le-Vel is the fastest growing Health & Wellness company in the United States. The products are available in the United States, United Kingdom, Australia, Canada, Mexico, and New Zealand. The products are also American made. How can it get any better? Getting your life back, getting healthier on all natural, American made products. Customers can earn FREE products too. If you refer just 2 new customers per month, you could earn FREE products the following month. So what are you waiting? It’s time to take your life back. It’s time for a truly healthier you. No more taking supplements that aren’t doing their job. Take the Thrive 8 Week Experience. Go to RedConrad.Le-Vel.com and get started today. You won’t regret it. If you need assistance setting up your FREE customer account, ordering Thrive, or if you have any questions, feel free to email me at RevDrRed@gmail.com or message me on Facebook. If you love Thrive as much as I do, you can also join my awesome team of Independent Brand Promoters. Also 100% FREE! As an Independent Brand Promoter you will be able to help others achieve a healthier lifestyle. You will also be able to earn bonuses, free product, and other cool prizes. If you would like to upgrade from customer to promoter, you can do so at any time. Or you can start as a Promoter right away with my team. All you need to do is visit RedConrad.Le-Vel.com and signup as a Brand Promoter. If you need assistance setting up your FREE promoter account, ordering Thrive, or if you have any questions, feel free to email me at RevDrRed@gmail.com or message me on Facebook. Right now is the optimal time to join. We have all new products coming in 2018 that are currently in pre-launch. You don’t want to miss out on this awesome opportunity, so get in touch with TODAY so we can get you started.